Family Counseling Center, Inc. Begins New Family Advocacy Center Program | Family Counseling Center, Inc.
Family Counseling Center, Inc. is set to begin a new program funded by the Department of Children and Family Services (DCFS). The new program, operating out of the Agency’s Alexander County Office in Cairo, hosts services geared towards families who are at risk of having or currently have involvement with DCFS and includes counseling, advocacy, mentoring, case management, entitlement assistance, parental and family support, employment readiness training, and financial literacy training. Additionally, the assigned family advocate/counselor will serve as a case manager and gatekeeper to refer the family into any needed service including substance abuse treatment, mental health treatment, psychiatric evaluations or medication monitoring, homeless services or domestic violence services. 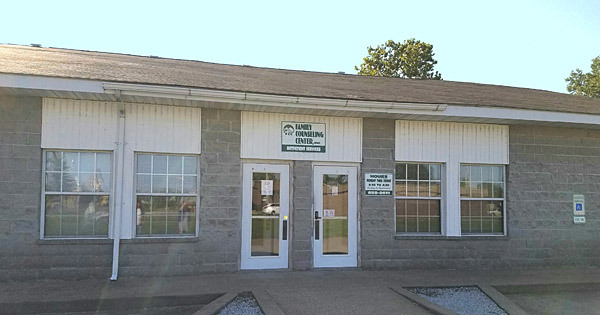 FCC’s Alexander County office is located at 1401 Washington Avenue, Cairo, Illinois 62914. It is the goal of the Family Advocacy Center to keep families together through providing multi-layered support and improving the overall functioning and wellbeing of the family. Although referrals from DCFS for families with open cases or investigations are priority, the Family Advocacy Center can serve individuals with closed cases, post-adoption families, and self-referred families, and those referred from other community agencies as they are able. The program will primarily serve those living in or near Alexander and Pulaski Counties. The Agency is excited to bring additional resources to the families of Alexander and Pulaski county. Please join us on March 14, 2017 at 1:00 PM for a Family Advocacy Center Open House event located at our Alexander County Office located at 1401 Washington Ave in Cairo, Illinois for an opportunity to tour our facility and meet the FAC staff! About Family Counseling Center, Inc.
Family Counseling Center, Inc. has been providing behavioral health services to Johnson, Hardin, and Pope counties since 1974 and has since then expanded to include 16 operating sites within Johnson, Hardin, Pope, Alexander, and Pulaski counties as well as extending services to Massac, Saline, and Union counties. Family Counseling Center, Inc. provides services to nearly 1900 clients within their Behavioral Health, Developmental Services, and Supportive Living divisions.